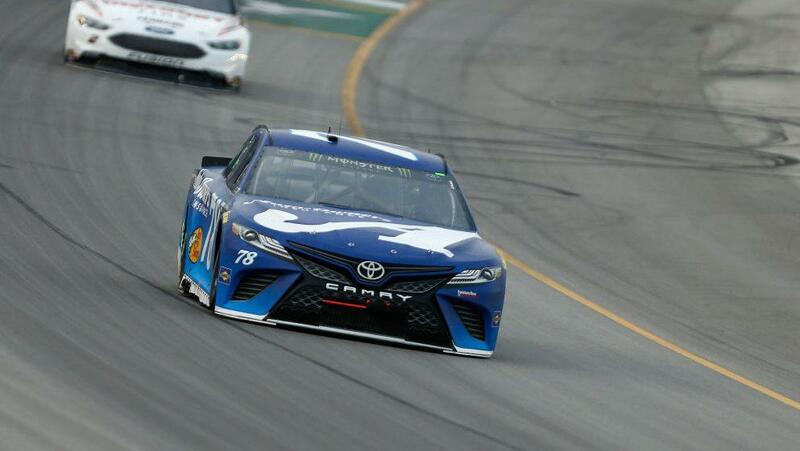 Martin Truex Jr. started up front Saturday night at Kentucky Speedway. After a dominant performance that included 174 laps-led, he was also able to take his fourth win of the season to pull within one victory of point leaders Kyle Busch and Kevin Harvick. Keselowski, who had not been challenging for the lead early on, worked his way up as Stage Two ended. Gambling with a two-tire pit stop ahead of the restart to open Stage Three, Keselowski jumped Truex for the lead. By Lap 200, Truex retook the lead when Keselowski lost traction in Turn 4. Then came a caution on Lap 205, when J.J. Yeley blew a motor and ran into the Turn 4 wall. Yeley’s car came to a stop against the wall, and most of the leaders subsequently pitted to prepare for the final 50-plus laps. Truex passed Keselowski for his final lead,also passing Keselowski,was young teammate Ryan Blaney. Blaney was able to maintain second for the remainder of the race, but Truex pulled away with the lead and didn’t look back from their. Keselowski held onto third,while Kyle Busch and Kevin Harvick,Kurt Busch, Erik Jones,Aric Almirola, Kyle Larson and Joey Logano rounded out the top 10. There were no accidents until Lap 109, when Alex Bowman blew a tire and hit the wall in Turn 4. Bowman drove into the pits with heavy damage on the car’s right side and was forced to end his night. The series heads to Loudon, New Hampshire, on July 22. Denny Hamlin was last years victor and looks to add to it.